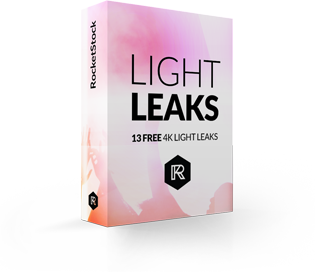 In this comprehensive, 4-hour video tutorial, editor Taran Van Hemert teaches you everything you need to master the craft. All images via Taran Van Hemert. 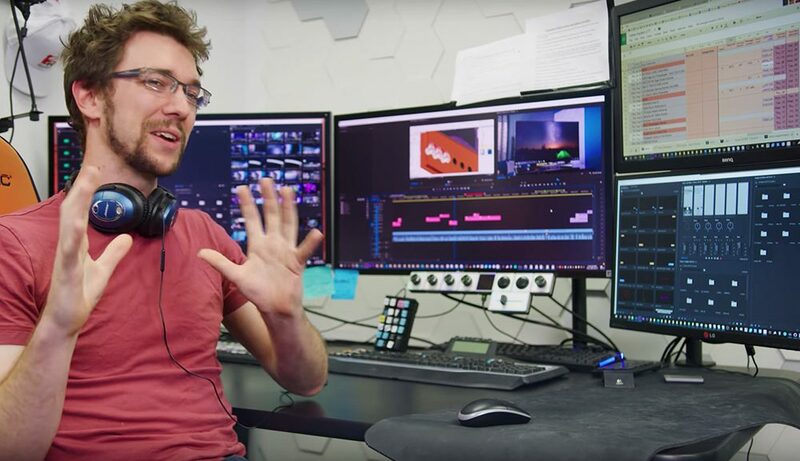 Editor Taran Van Hemert edits most of the episodes for the hugely popular (5.2 million subscribers) Linus Tech Tips Youtube channel, and with his four-hour video tutorial, you can get a fantastic education on video editing. Full stop. This tutorial is an in-depth look at video editing in Adobe Premiere Pro at a very technical level. 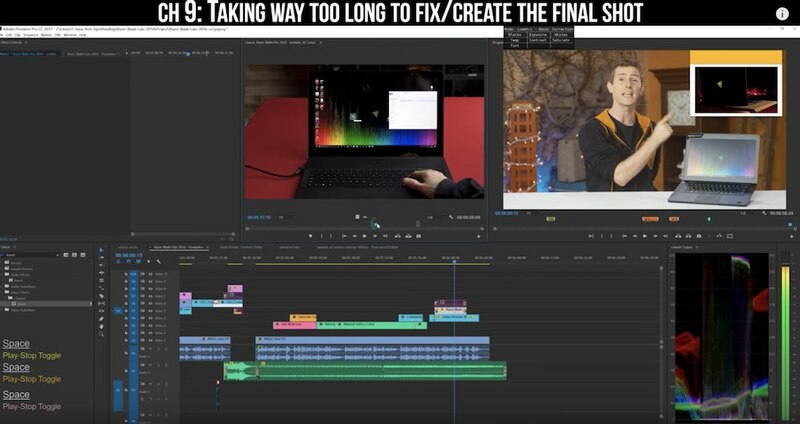 You’ll learn all about Van Hemert’s workflow as he walks you through the edit of a full episode of a Linus Tech Tip show. He also shares (probably) all of his editing secrets and productivity hacks. In this post, I’ve put together a list of my top five takeaways from the video — as well as some extra tips and tricks. I also asked Van Hemert what his favorite bits were. Van Hemert is a self-described productivity freak. He likes to run at least three keyboards plus accessories loaded with macros while he’s editing. Even if this isn’t your kind of thing, watch it anyway — there’s something for everyone in this video. The tutorial is split into 19 different chapters — be sure to open up the description on YouTube to see everything it contains — which Van Hemert has helpfully broken down into subsections with direct links to the corresponding timecodes. The tutorial builds on itself as you go, so it’s best to watch it through from beginning to end — his live edit begins at chapter 6.2. Chapter 6 (6.1 and 6.2) shows exactly how fast someone can work, using the proper macros, scripts, and workflow. There is almost no room left for further optimization. Chapter 18 is one of the best chapters. I shouldn’t have joked about how the viewer should skip it. Many useful preferences are not in the preferences panel, and very few tutorials ever talk about that. Chapter 15 should be very useful for anyone who is just starting out in their education or career. Chapter 1 is useful for anyone who uses YouTube. Literally, you could just grab a screenshot of all the great shortcuts. Chapter 12, a, b, and c: the theory of why and how I use Premiere. It has a shocking amount of bugs and missing features. I use a powerful method of thinking that I learned from video game speedrunners, in order to make the most of it. After watching the entire epic tutorial, I was struck by how anyone can apply Van Hemert’s wisdom to their own workflows, even if they work in an entirely different app — or even a different creative field. These aren’t how-to tips or technical insights; these are strategies that anyone can apply to improve efficiency. Here are the top five takeaways. 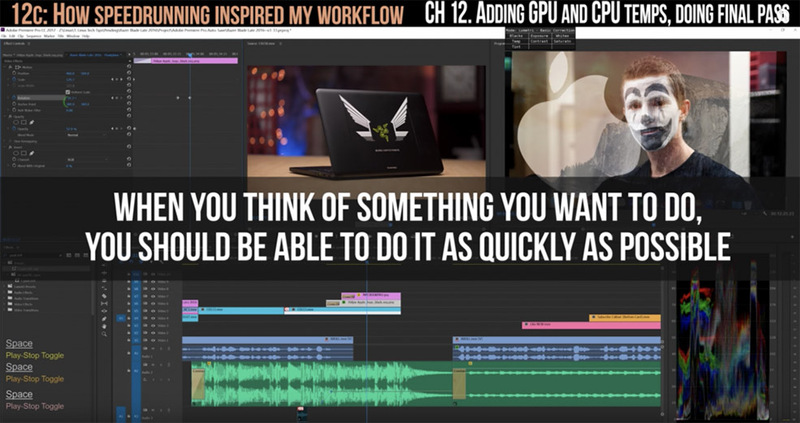 In chapter 12, Van Hemert shares his thoughts on Adobe Premiere Pro as an application (he kind of likes it, but the bugs frustrate him), but he then goes on to share his over-arching strategy for optimizing his workflow, borrowed from the concept of Speed Running video games. Speed running in video games is when a player will take advantage of any and all glitches, errors, tricks, etc. in a game to finish it as quickly as possible. This leads to “insane strategies” that you wouldn’t normally consider. But that, when correctly applied, can save you a ton of time. Create the shortest possible path to that goal. 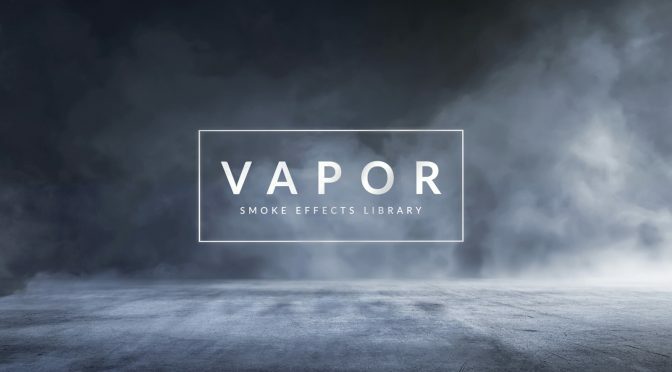 This is why Van Hemert uses multiple keyboards running hundreds of macros because (for him) it’s one of the ways he can get to his goal (a finished edit) as quickly as possible. It’s clear that a lot of Van Hemert’s speed and efficiency comes from his many Auto Hot Key scripts, which allow him to “make up [for] the deficiencies” inherent in any NLE. But that means he’s also probably changed the way he’s done things, many times over. This demands a great deal of flexibility and openness to change — traits that are uncommon among the editors I know. 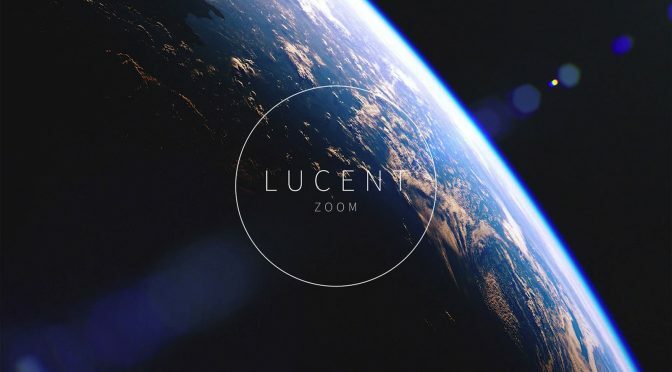 It’s fashionable these days to know every software application under the sun and to be fully versed in professional editing, grading, visual effects, and motion graphics applications — all while delivering a high-quality sound mix and social media promotion strategy to boot. But it didn’t used to be that way, and for good reason. There’s a lot to be said for knowing one application inside and out, front to back, soup to nuts. If you want to master something, you need to know all of its shortcuts, all of the feature sets, all of the customization options — even the hidden ones — and you need to be able to make your own modifications. Mastery requires a depth of knowledge that’s difficult to achieve if you spread yourself too thin. You also need some decent mileage in the editing suite. If you want to be as fast and efficient as Van Hemert, cut, and cut a lot. Linus Tech Tips puts out hundreds of videos every year (they aim for one a day! ), and Van Hemert has edited many of these. Plus he runs his own YouTube channel. He edits a lot. So if you want to improve, you just need to keep cutting. 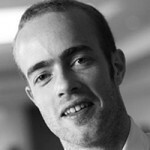 Part of what makes the tutorial so great is that Van Hemert recorded the commentary track after he finished the editing session. This means he gets to comment on his own editing after the fact. So you hear him suggesting things he thinks he should have done (“I’m probably about to color correct that shot . . . Oh, actually I did something else.”), which reveals places where even he may have made mistakes. He also records conversations with coworkers that occurred during his edit and reflects back on his interactions with them and how he could improve the overall workflow so everyone could get home on time. Sound effects & music too loud. Taking way too long to fix/create the final shot. Showing too many things at once. One of the best tips I picked up from Van Hemert’s video was how to get Ripple Sequence Markers to work correctly. If you’ve ever added markers to your sequence to keep track of important things (but wanted those markers to shift along as you adjusted the contents of the timeline around), then you’ll know that it doesn’t often work. Van Hemert has the answer. To get sequence markers to move in sync with the content, you actually need to use Ripple Trim (instead of, say, the Track Tool) to move everything around. You also need to set the Ripple Sequence Markers setting to “on” under the Markers menu item. Van Hemert covers this in the video above. Another quick tip I picked up was what “Pin-to-clip” does. 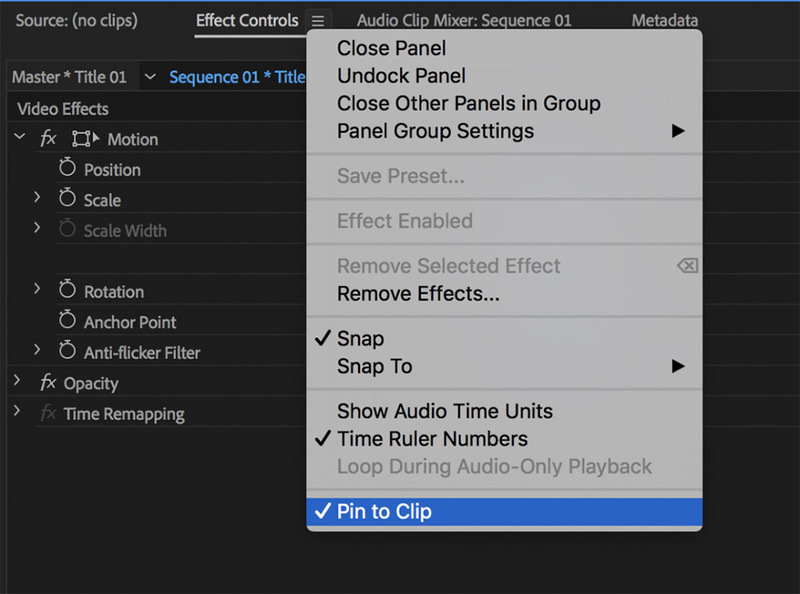 By unchecking this option, under the Effects Controls hamburger Menu, you can now move effects keyframes beyond the bounds of the clip. This is handy if you want a smooth transition or motion within a clip that requires the keyframes to occur after the outpoint. There are dozens of other tips like these that Van Hemert scatters throughout his tutorial. 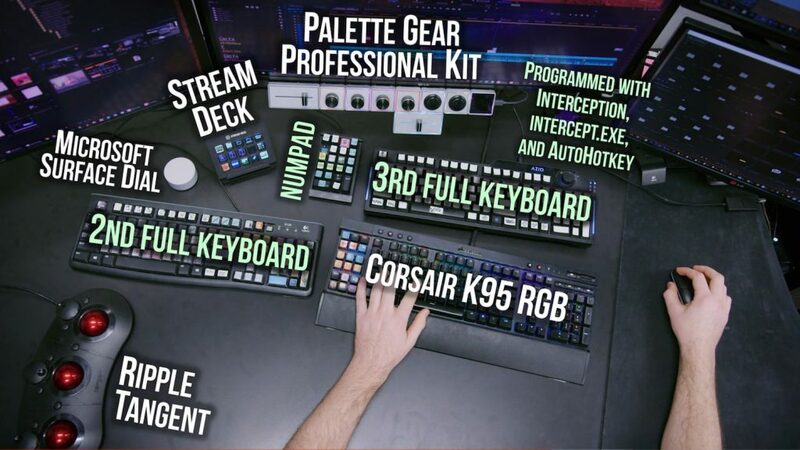 In this extra tutorial (which is not for the faint of heart), Van Hemert demonstrates how he put together a second keyboard, which he packed full of macros to ratchet up his editing speed. In another bonus tutorial, Van Hemert shares his Auto Hot Key script for switching instantly between applications. 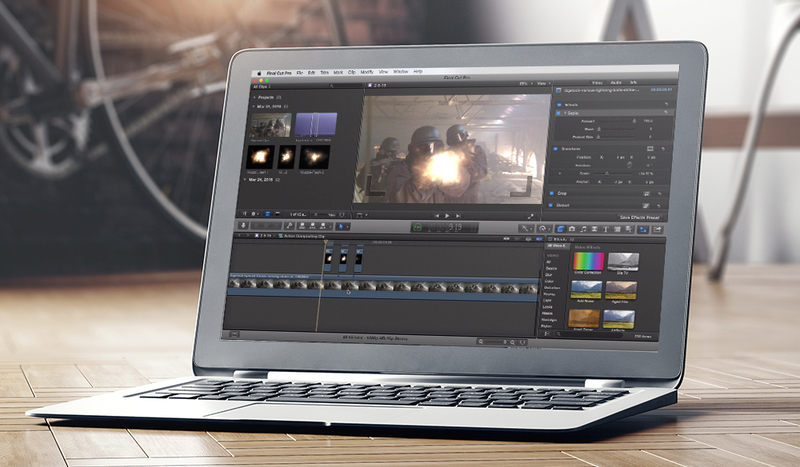 Looking for more on video editing? Check out these tutorials.